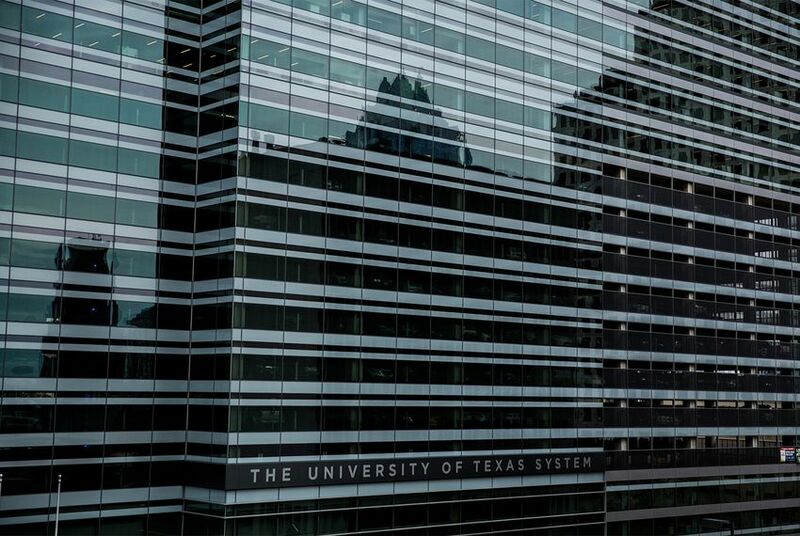 Most University of Texas System schools will see increases in the 1 percent to 7 percent range, adding hundreds of additional dollars to students’ tuition bills. Editor's note: This story has been updated to remove a misleading statistic that the UT System included in its briefing materials. Attending college is set to become slightly more expensive for undergraduates at all eight of the University of Texas System’s academic institutions. Briefing materials provided in advance of the governing board’s meeting said the institutions don’t “anticipate public opposition to the proposed actions.” The documents cited economic factors and declining state support as reasons the tuition increases are necessary, and many of the schools said they’d put the new revenue toward student success initiatives, faculty recruitment and infrastructure needs. The shrinking percentage of money coming from state coffers, the materials say, have continued to pose a “significant” challenge for the system’s institutions – some of the most well-known in Texas. Most other university systems in the state, including the Texas A&M University System, have also increased tuition in recent months. Over the last decade and a half, state appropriations have dwindled from around $8,000 per full-time student at UT System schools, adjusted for inflation, to around $6,000. The cost of tuition and fees paid for by students and their parents crept up during that time from roughly $5,000 to $8,000 in 2016. But the briefing materials said the system’s institutions remain committed to “keeping college affordable while keeping debt in check," and that UT undergraduates tend to graduate with $3,000 less in debt than the national average. The institutions got feedback from students through town hall meetings, forums and emails, and school leaders met with local legislators to “develop a shared understanding of why tuition increases are needed,” according to the briefing materials. Regents on Monday also approved tuition and fee increases for the next five years that were requested by some of the system's six health institutions. Disclosure: The University of Texas System, the University of Texas at Austin, the University of Texas at San Antonio, the University of Texas of the Permian Basin and the Texas A&M System have been financial supporters of The Texas Tribune, a nonprofit, nonpartisan news organization that is funded in part by donations from members, foundations and corporate sponsors. Financial supporters play no role in the Tribune's journalism. Find a complete list of them here.